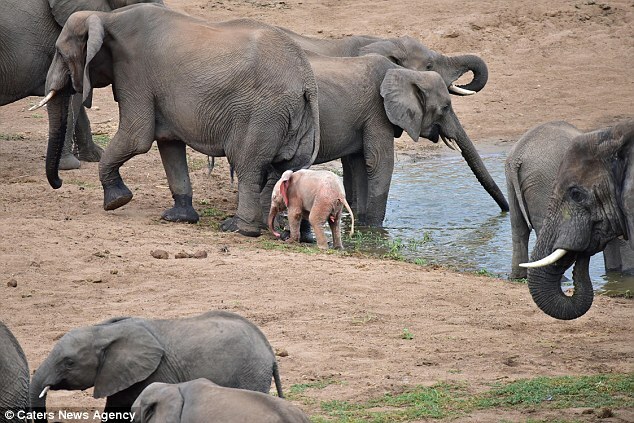 The adorable baby albino was seen flapping its ears and playing around by the edge of the river, surrounded by its family in the herd. 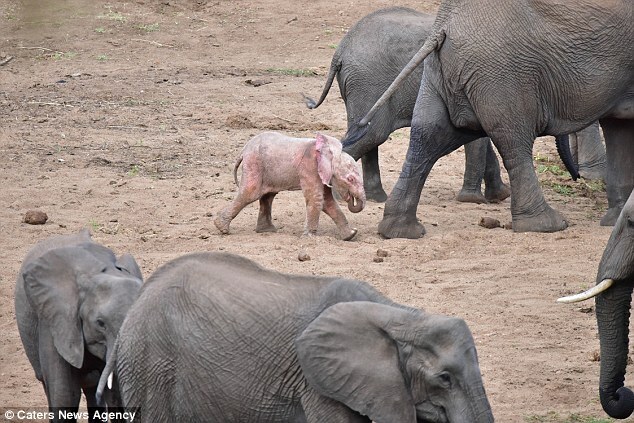 For a family day out, this little baby elephant is really in the pink - thanks to its striking skin colour. 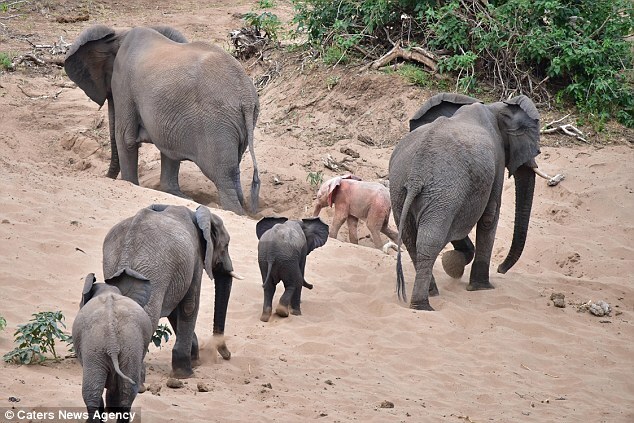 But no one seems to notice it's hue is different from the usual elephant grey tone that the others are sporting. 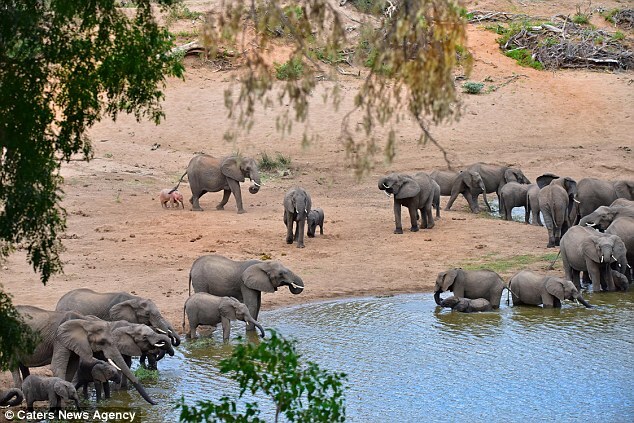 The calf was snapped drinking with its herd in Kruger National Park in northeastern South Africa. 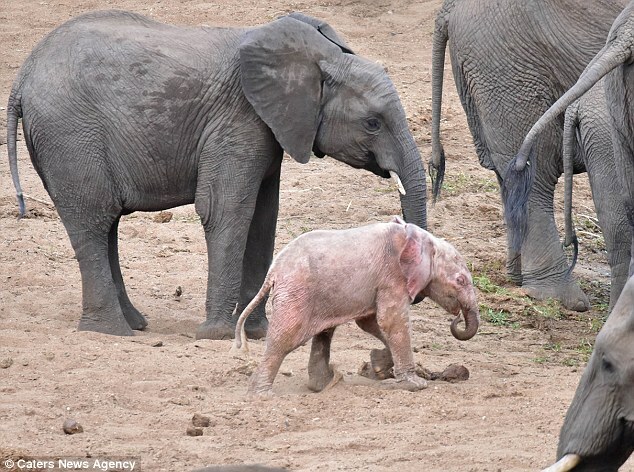 With his bright pink ears flapping in the wind, the pink calf is believed to be an albino, an extremely rare phenomenon amongst African elephants. 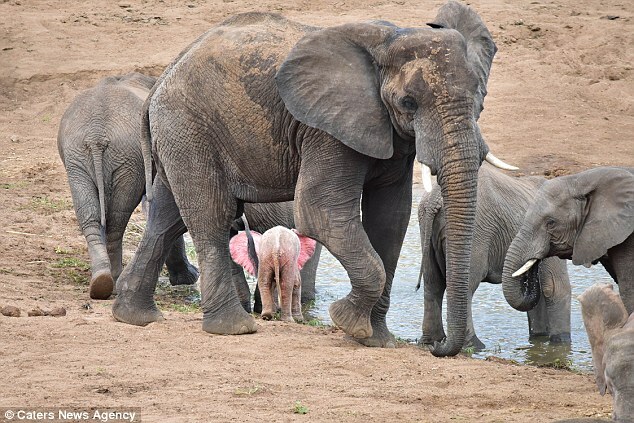 Mr Coertze, from South Africa, said: 'We were watching the elephants drinking at the Shingwedsi River when we noticed the albino elephant calf. 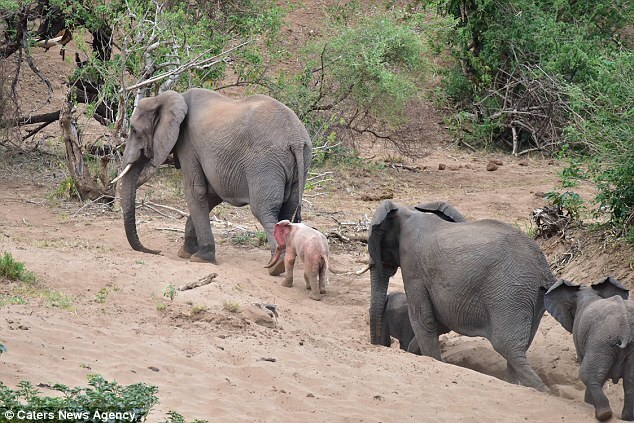 Responses to "Adorable baby "Pink" elephant is at home with its herd despite its differences"
That baby will burn up. 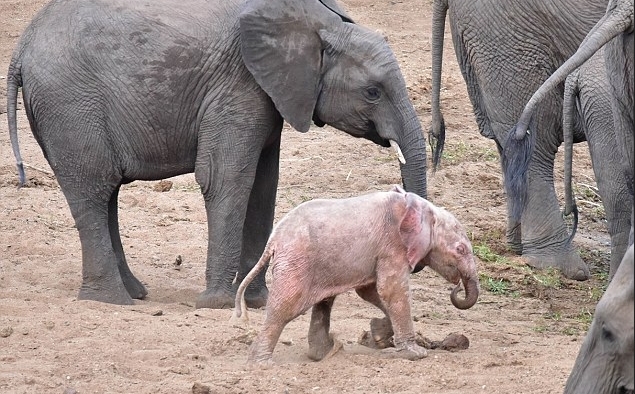 no amount of mud will help the little guy. As tough as they seem , their skin needs protection. At least they don't abandon it or smash it with a rock. We humans could learn compassion from these wonderful creatures.